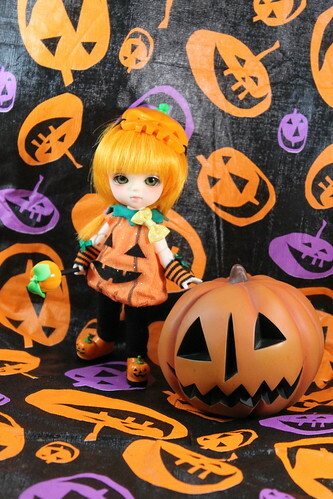 I just realized that I never blogged the arrival of my newest bjd, my beloved little Trixie Treat. 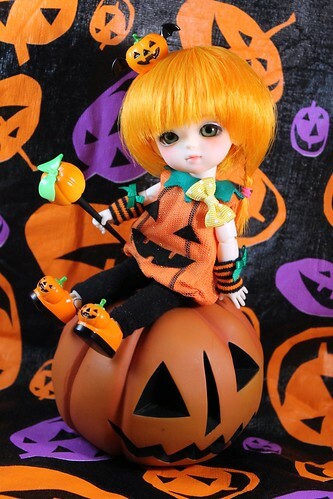 Trixie Treat is a Halloween Pumpkin Version Lumi Lati Yellow. I’ll be the first to admit that I never anticipated owning a Lati Yellow, I didn’t really see the appeal in them for a long time but they have been steadily growing on me this process has been helped of course by several of my friends getting them and flooding me with absolutely adorable photos of them. I had been looking at Lati Yellow photos more and more even beyond those taken by my friends and had become rather smitten by them, then I happened to get a little bit of a bonus so I decided to treat myself. I went through photos of every Lati Yellow release ever and made a shortlist of who I liked (Pumpkin Lumi was at the top) I searched Den of Angels for a few days without really finding what I was looking for but I remembered one of my friends recommending the Lati Yellow Yahoo Adoption group and luck was on my side as I had someone contact me within a few hours. I’m so glad I decided to take the plunge and get her as she is quite possibly the most darling thing ever. 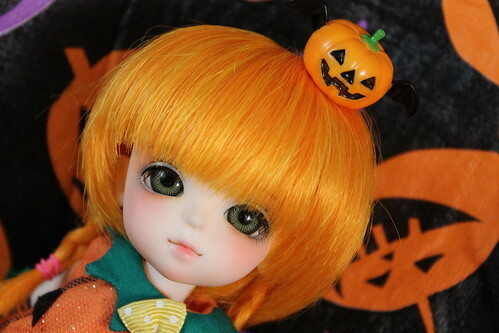 While she may not have arrived in time for Halloween (she came November 1st), this girl is all Halloween so I decided to name her accordingly so she is Trixie Treat. Button (Pullip Papin) was still out from when I took pictures the day prior to Trixie Treat arriving when I saw how close in colors their wigs were and that Button was still dressed up for Halloween I decided to take a couple of pictures of them together. I think they make a cute pair. 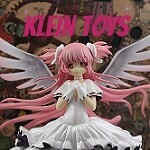 More pictures of her on my flickr. This entry was posted in 2011- 365 Toy Project, BJD, Doll and tagged BJD, lati yellow, latidoll, lumi. Bookmark the permalink.